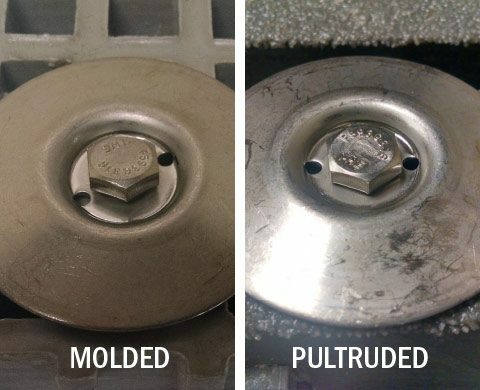 Bedford offers several types of clips to secure our grating products. Normally, the maximum distance between clips should be no more than 4′. All metal clips are made of SS316 stainless steel with a thickness of 0.06″. Click here to check Inventory. 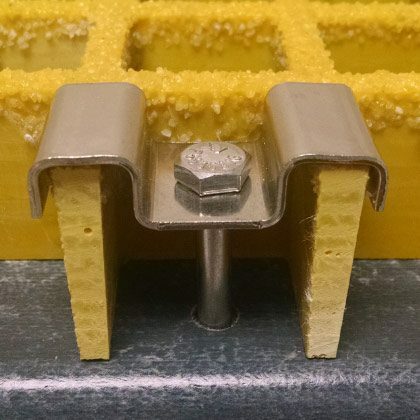 W clips are made specifically for plate or grating with plate on top. The length of the bolt should correspond with the height of the panel. L clips are used to fasten molded or pultruded grating to a support bar for moderate loads. C clips are used to join two ends of molded grating together. 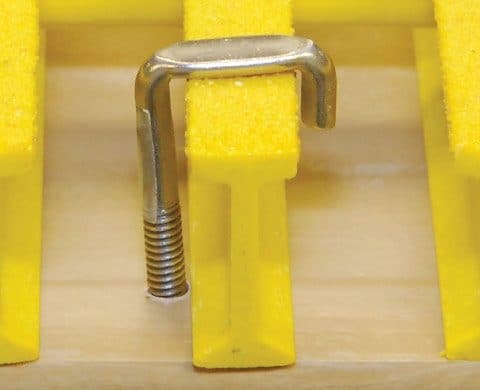 Clips should be placed every 2′ – 3′ to meet indensity requirements. G clips are designed to attach grating to any structural member flange, 0.75″ or smaller in thickness, with no drilling required.